Elegant 1940s style antique gold and crystal link bracelet full of timeless glamour and sparkle. A beautiful wedding piece for vintage loving brides. Epitomising the glamour of 1940s Hollywood, our sparkling Graceful in Gold Bracelet could easily be mistaken for a sensational diamond eternity bracelet. Set on antique gold tone it features bold Austrian clear crystals surrounded by petite crystals in a stunning link design. 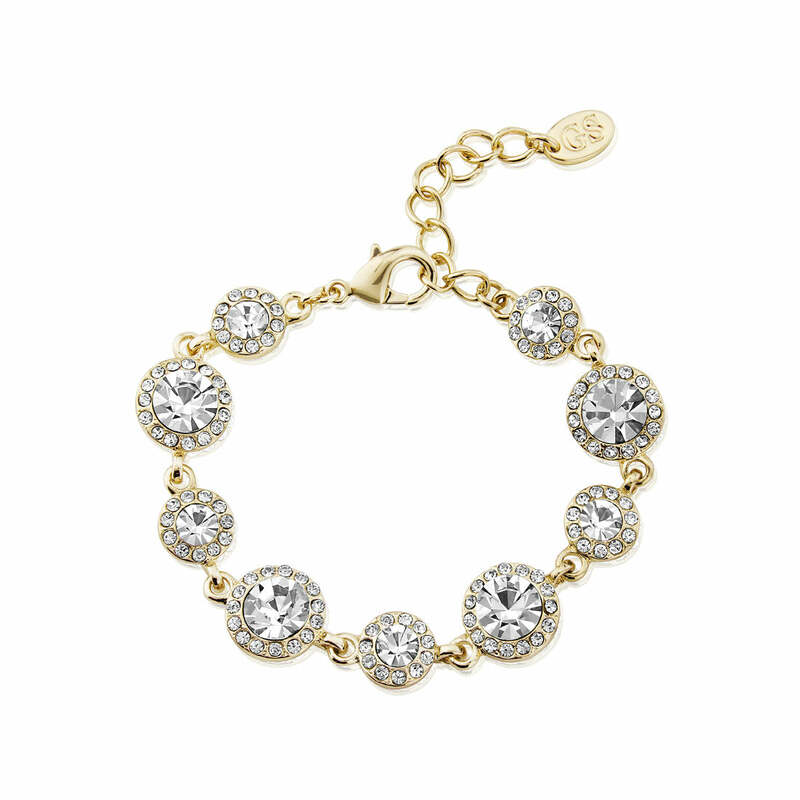 Its classic Starlet style ensures this bracelet is the perfect accessory for dressing up any occasion. Coordinate with our matching stud earrings for a lunch date or team with Graceful in Gold Timeless Necklace and a gold crystal encrusted headpiece for a glamorous black tie event. The perfect bracelet for brides who adore vintage style accessories, Graceful in Gold will look divine with a cream lace dress or accentuating gold detail on a statement gown. Chic and incredibly beautiful, this piece would also make a fabulous bridesmaid or Mother of the Bride gift which will undoubtedly become a treasured wedding keepsake.